We are excited to announce in the week of World Suicide Prevention Day that the Judi Meadows Memorial Fund, together with Exeter University, is funding a PhD student who will research new ways to help GPs identify and support people who are psychologically distressed and at risk of suicide. Over 6,500 people die from suicide across the UK every year. Many more suffer immeasurably owing to suicidal thoughts. Tens, if not hundreds, of thousands of friends, family and carers are also deeply affected.Yet suicide is often preventable. We all have a part to play in helping to prevent these unnecessary deaths. Saturday 10 September is World Suicide Prevention Day when we join with others to shine a spotlight on suicide and encourage open and honest discussion about suicide and suicidal thoughts. Evidence shows that talking openly about suicide is critical in encouraging people in distress to seek help and breaking down the stigma that forces too many to suffer in silence. 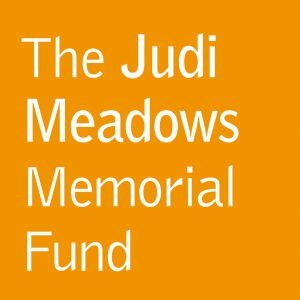 The Judi Meadows Memorial Fund is a restricted grant of the McPin Foundation that focuses on saving lives threatened by suicide. Raising awareness that suicide happens and that we need to talk about it is central to this. We have a particular interest in supporting GPs and other health professionals to talk about suicide and suicidal thoughts. This is because GPs are often the first source of help for people in crisis. So GPs save many lives every year, probably often without knowing it. Yet given that over half of people who take their own life will have seen their GP in the previous month perhaps more could be saved. Sadly, a lot of research suggests that neither patients nor GPs find it easy to discuss suicidal thoughts openly. This is not surprising. For patients admitting to them can be distressing or shaming. They may be scared of negative consequences such as losing a job or being ‘sectioned’, although this is very unlikely in reality. GPs can be hesitant to ask about suicidal thoughts or probe more deeply if they come up. They may fear, wrongly, that it will increase the risk of a patient acting on them, or be unsure what support to offer. Of course all this has to be done in a consultation usually scheduled for only 10 to 15 minutes. Current clinical approaches drive GPs towards diagnosing a condition such as depression and then referring on to specialist services rather than working with the person in front of them on how they can best support them. We are therefore excited that together with Exeter University we are funding a PhD student who will research new ways to help GPs identify and support people who are psychologically distressed. She will be supervised by Professor Rose McCabe, an expert on analysing clinical consultations and effective communication. At the heart of the project is understanding how we can support GPs to build open and supportive relationships with patients that will encourage them be open about suicidal thoughts and other forms of distress. This work in primary care builds on the funding we provided to Oxford University to undertake a comprehensive evidence review on suicide risk amongst people with depression. This lead to the production of a practical guide for clinicians, including GPs, on how to assess suicide risk in patients with depression. If you would like to learn more about how we work to prevent suicide please get in touch and you can support our work on suicide by donating here. If you need help in a crisis, or are worried about somebody else, sources of support are available here. You can keep in touch with this programme of work, as well as the other areas of activity at the McPin Foundation by signing up for our newsletter.